This pine tree and sailboat live at the mouth of Callis Creek, which is off Stutts Creek. The stuff in the foreground is part of an oyster farming operation. I am delinquent in talking about many topics of interest around here these days. In spite of the fact that I am now a professional Empty Nester, I don't seem to have all the spare time I thought I'd have. However, I'm not sure I could articulate exactly what I've been doing when I'm not working. Truth be told, work does eat up the majority of my days. The commute is brutal, and the days are long. But I still have weekends off. So what am I doing? Well, I've been to Charlottesville a couple of times--and I'm going back again this weekend for Parents' Weekend at UVA. Next weekend, Baby Sis and I will be in the Outer Banks for three or four days running another half marathon. (She's far more prepared than I.) A couple of weeks back, I spent a Saturday night in Virginia Beach. I've been having dinner here and there with my parents and Middle Sister. I have had frequent dinners with my friend Warren--who runs the oyster operation referenced here. My sisters and I went to a few really great wine festivals. 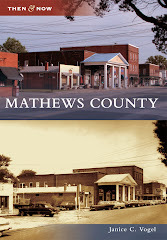 I went to my first Mathews County Visitor and Information Center meeting and am excited about the possibility of being involved with tourism for the county. And now it's Halloween. Which means one blink and it's Thanksgiving Christmas. Time just continues to fly by. One sad news item I have to share is the passing of Captain A.J. Hurst. He allowed me to tag along on a crabbing adventure back in 2012, Click here and here and here for those pictures and that story. Although the temperatures have remained rather warm (it was 86 degrees today! ), Fall has definitely arrived in Mathews County. Along with the brownish colors of the corn crops that are ready for harvest, beautiful wildflowers abound. I'm not sure what these pretty yellow ones are called, but they're growing like weeds wildfire along the roadsides. Although I don't have pictures handy, there are also beautiful purple and pink flowers making themselves known along the roads and in the fields. I've been picking the ones at the end of my lane and enjoying them in flower arrangements. They last a good long while, although some of them do leave a ton of seeds when they're finally giving up on life. It's a small price to pay though. We survived the hurricane that wasn't supposed to hit us. Technically it didn't hit us, but the storm delivered a great deal of residual wind and rain. Some folks here lost power, there was some flooding in some areas, but eventually things returned to normal. The weather is supposed to turn a little cooler this weekend, just in time for the Gloucester Wine Festival. Baby Sis, Middle Sis and I will be attending this event on Saturday. We were supposed to go last year, but a little life-changing event known as my car accident (click here for that story) changed those plans. These pictures of a sunny Aarons Beach area were taken a couple of weeks back, when I stopped there to take a jog. It was breezy but warm. The bay really isn't elevated that much above the shoreline/beach area. I was using my zoom and this was the result. I've been behind in my jogging and my blogging here lately. This week, any down time I had was spent preparing for a possible It's Either Gonna Be Another Hurricane Hazel, A Dud, or Anything In Between storm. So far, Hurricane Matthew is only delivering Mathews County lots of wind, rain and high tides. But, to be perfectly honest, we've had those weather conditions hovering around for what feels like years months now, in spite of the sunny, clear skies depicted here. I'm off on Monday thanks to the wonderful federal holiday, and I hope to take some pictures and do some more jogging then. A new addition to the bustling, happenin' downtown Mathews Court House scene is a kayak launch on Put-In Creek. The launch is conveniently located next to the fire department, at the site of the former water treatment plant. There's plenty of free parking available. One of these days I intend to borrow a truck and take my kayak down here. As it is, my little Kia Forte isn't quite equipped to handle the transport. Here lately, I just haven't had time to do anything, really. Every spare moment seems to be taken up with this or that. I didn't realize just how much this or that there would be after both of my children left for college. But there's plenty of it. This past week, I drove 100 miles round trip each day on Monday, Tuesday, Thursday for my normal work commute. Wednesday I had to take a work-related jaunt to Northern Virginia: 300 miles round trip. Friday was Daughter's birthday, and she wanted to come home for the weekend. Tack on another 300 miles, give or take. That's almost a thousand miles in one week. That's crazy. My next weekend trip is in a few weeks, so I'm looking forward to what I hope will be a "normal" amount of time in the car in the near future. Normal for someone who lives in Mathews and works an hour away, anyway. Happy October! Christmas will be here before you know it. Labels: kayak launch, kayaking, Mathews Court House, Officially Empty Nesting, Put-In Creek, Time Flies, Watch that low tide otherwise you're stuck in the East River!